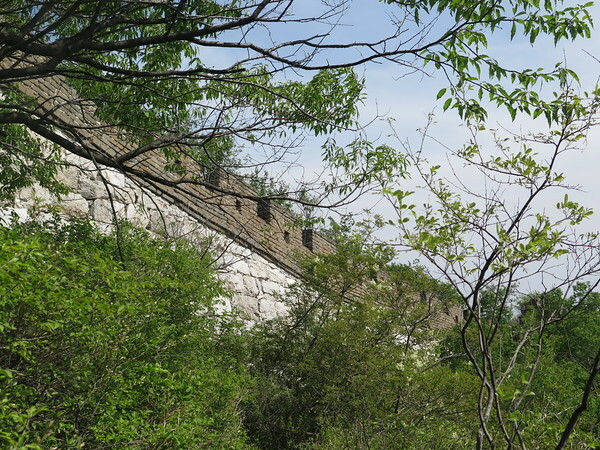 The Jiankou to Mutianyu Great Wall is a breathtaking 10-km hike that combines the part of wild and restored Great Wall. This hike requires a good physical condition, because it is not an easy hike but you will be rewarded with fantastic scenery. 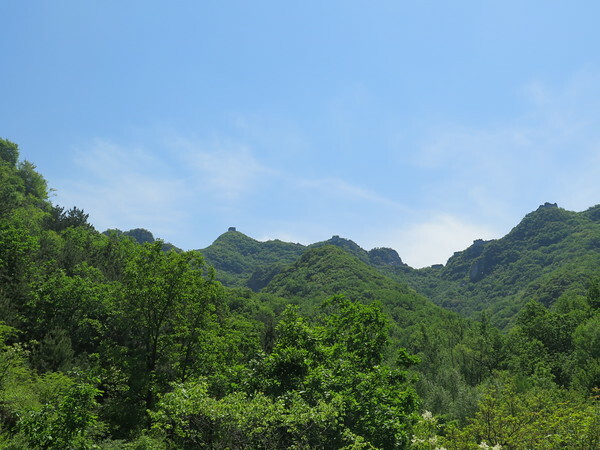 The Jiankou to Mutianyu hike is worth to be on your list of things to do. 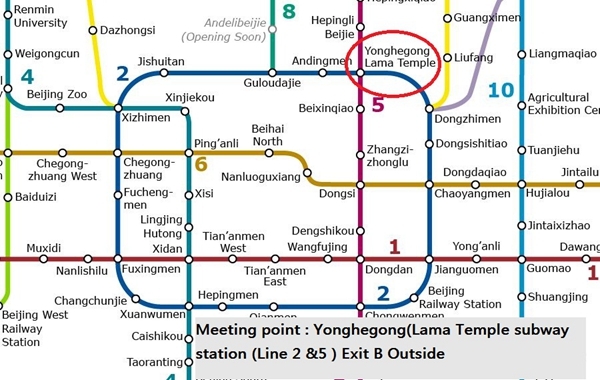 From our meeting point at Lama Temple subway station (exit B), it will take us about 2 hours to reach the village where we will have lunch. 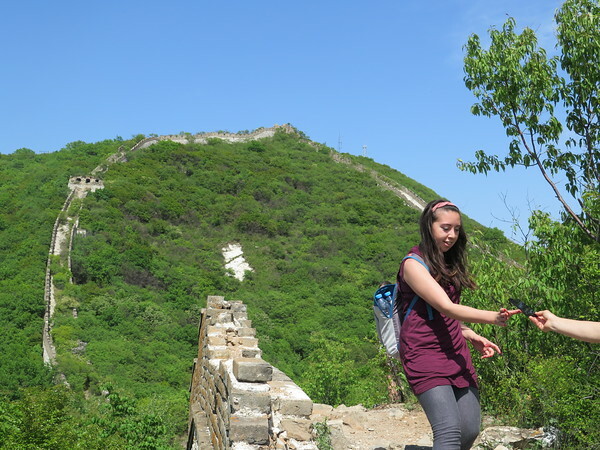 After a late lunch, we start hiking a steep dirt trail that leads to the Great Wall. It is a 500-meter ascend that will take you about 1 hour. Your efforts will be rewarded as you will stand on top of the Zhengbeilou Watchtower (991m) where some of the most spectacular pictures have been taken. 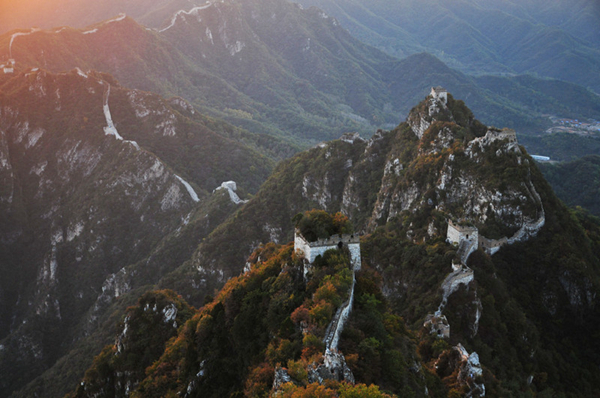 Around 7pm, we will reach at Mutianyu Great Wall and prepare our camera setting for some incredible sunset pictures. After watching the sunset, we walk a few towers further on the Mutianyu Great Wall and then take a small trail that leads us to the valley where our driver will be waiting for us. We will be back at our meeting point in Beijing by 9:30pm. We rate this hike Level 3 because the start of the hike is quite intense. 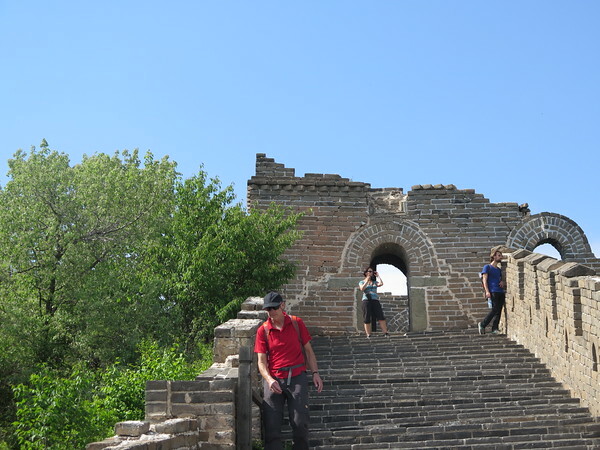 It takes a good effort make the 1 hour ascend to the Great Wall, so a good physical condition is required. 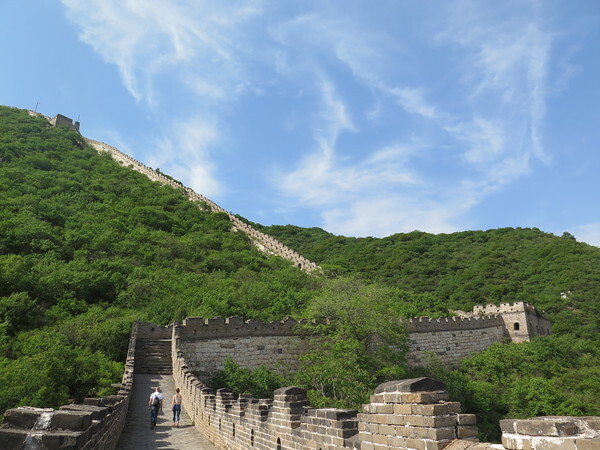 Once we arrived on top of the Great Wall, it will be a pretty easy hike. Awesome trip great to see a part of the wall that hasn't had escalators fitted. The best tour I have done, organised, lovely people, amazing staff and an experience on the great wall i will never forget !!!! There is nothing i can think of that could be improved on !!! Well done China Hiking, we will be back for another tour !!! 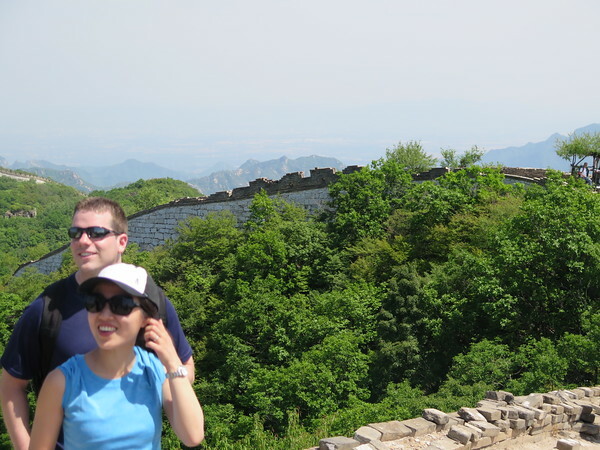 This was an excellent day adventure on the Great Wall. We barely saw anyone else except our own group, and experienced both a section of the wild wall and a restored section. Our guide Chloe was fantastic, enthusiastic and encouraged us to stop and take in the natural environment and really appreciate where we were. Thank you. Well organized. Our tour guide was very knowledgeable about China and world history. Made the hike to the Great Wall more meaningful. The tour guide is a professional hiker. He made sure everyone was safe and comfortable. We were also fed well prior to the hike. Lots of good food!!!! Would do this hike again with them! I did the sunset hike with my sisters and it was by far the best thing I did while in China! Our guide was great, very knowledgeable! On the way, we stopped at a local restaurant for lunch and the food was amazing. The guide just ordered a lot of shared plates, so much food that our group of 11 couldn't finish it! The actual hike was pretty tough, but worth it. SO many great views the entire way. There were no other tourist around for most of the hike, so it felt very secluded. 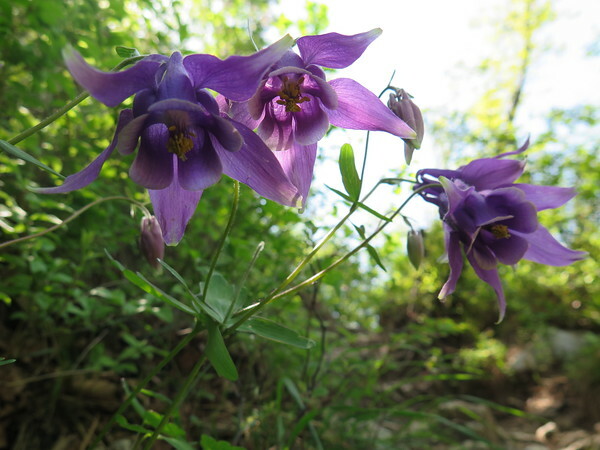 The hiking path was unrestored, so it felt like we were walking through untouched history. Best way to experience the Great Wall for sure! At the end, we sat on top of one of the post watching the sunset for about 2 hours. It was a beautiful spot, one that I never would've been able to find without the help of China Hiking! Overall, I was extremely satisfied with this outing and it was a beautiful and educational journey. 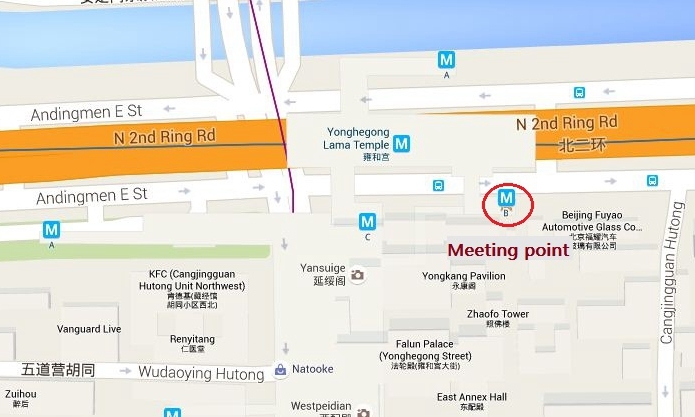 The meeting spot is easy to find, and you can take the subway at the pick up point and you don't need to know Chinese to take the subway, the romanized words are under the Chinese characters. This company is ran by Heidi and Fred. Fred was there to meet the group but he did not join us. Our guide John, a local of Szechuan province, gave us a very nice overview of Chinese history (including the dynasties) and significance of the Great Wall. Before our tour we stopped at a local restaurant where we had SOOOOOOO much food. The food was absolutely delicious. We all enjoyed it. You definitely don't want to hike with a heavy stomach but on the other hand this is the time you need to load up. Once we were done eating, we went to our hiking spot which was very close. This hike is physically demanding and I hiked about 10 minutes behind the fastest person when it was extremely steep and stayed with the group once it was more leveled. I never stopped but I sweated profusely from my first step for the first 2 hours. This hike is about 4 and half to 5 hours of hiking with small rest breaks in between. You must be careful, it is easy to fall or twist your ankle because at times you walk on rocks that look stable but will move once you set your foot down. There are extreme heights and this is not a time to horseplay. I can easily see someone dropping their phone or camera off the side of the mountain. I also see the significance of travel insurance for this activity if you're a foreigner. We made it to our final spot in time for the sunset but did not see one. Obviously, it would not be fare to deduct from the review on this point because they cannot control this aspect. But we were literally standing on top of the world at the end. John provided history throughout the trip. Overall, the trip was fantastic. John really made this a good experience. He was informative, intelligent, professional and good sense of humor. Our driver did not speak English but he was very polite and helpful, always assisting when needed. He would pour tea at lunch when he saw empty cups, handing out equipment/water, and helpful overall. When we returned to our initial pick-up spot at the subway, Fred was there to meet us all. The staff is fantastic. I would absolutely recommend it. We booked this tour hoping to view the sunset over the Wall, however, thanks to Mother Nature this didn't happen as the day we went was completely cloudy. The tour was nonetheless a worthwhile experience and the overcast sky actually made our photos look more epic. The lunch provided was generous and delicious. The guides were competent and knowledgeable. The highlight was taking the less beaten track which the guides were very familiar with and which would've been hard to navigate ourselves. It also meant that we didn't have to manoeuvre through tourists and got awesome photos alone on the Wall - we literally had the Wall to ourselves (and the tour group)! The Jiankou to Mutianyu Great Wall Sunset Hike (we couldn't see the sunset, but that's nobody's fault) was an incredible experience and our guide, John, was great. We managed to avoid all the crowds and to visit incredible spots. I totally recommend it. I did the day hiking trip and it was by far my favorite part of my vacation! We hiked the unrestored part of the Wall and watched the sunset. It was an amazing experience, the hiking guide was awesome and I highly recommend it! I went on this hike June 1, 2018 and it was everything I could hope for and more. Delicious local meal to start, followed by an excellent guided hike through old and restored sections of the wall. The views were amazing and we had blue skies all around. Our guide J.I. was fantastic! Very knowledgeable, funny, and always ensuring everyone was safe, comfortable and accounted for. He even generously offered his own drinking water to some other hikers who were under prepared for the heat of the day. Communicating with Fred and the others in planning for the trip was seamless. I would highly recommend any trip put on by this excellent company. Thanks again!!! I did the Great Wall day hike to Jiankou with China Hiking at the end of October during a stay in Berlin. It was brilliant - would heartily recommend to anyone. 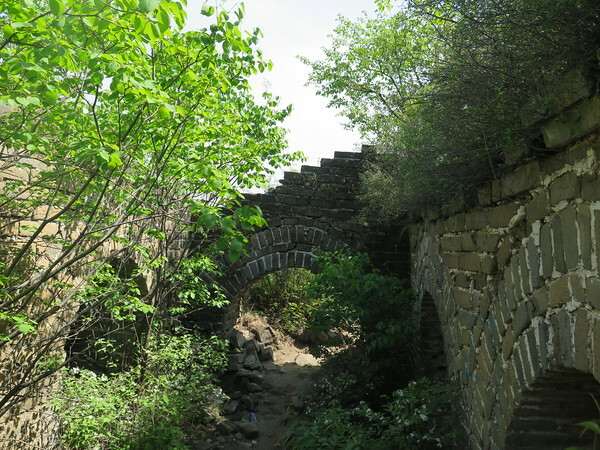 It's a part of the Great Wall that is largely unreconstructed and on a quiet Monday we hardly passed anyone else. All very efficient and Chloe the guide was excellent. You stop for a nice lunch before hiking up to the Wall. It was the highlight of my trip! Chloe and Vakkas were two amazing guides, caring and knowledgeable. I spent a great day with them and the group. I will come back! We did the hike on a lovely day on 16th October, two of us ladies, with good general fitness levels. Led by Chloe and Vakkas. Upon arrival at the Dong Cheng Gong(Lama Temple) Line 2 exit, we were met by the smiling faces of Fred and Heidi, who warmly welcomed us. As we were early, we walked around the hutong abutting the station. There was a small and wholesome local elementary school very near to the station exit B. Then it was a quick check in with the guides and a two hour van transfer to Xizhazi Village. A delightful local farmers' lunch (mostly local vegetables produce), then a one hour ascent to the base of Jiankou Wall. This dirt track is steep and requires good leg power. 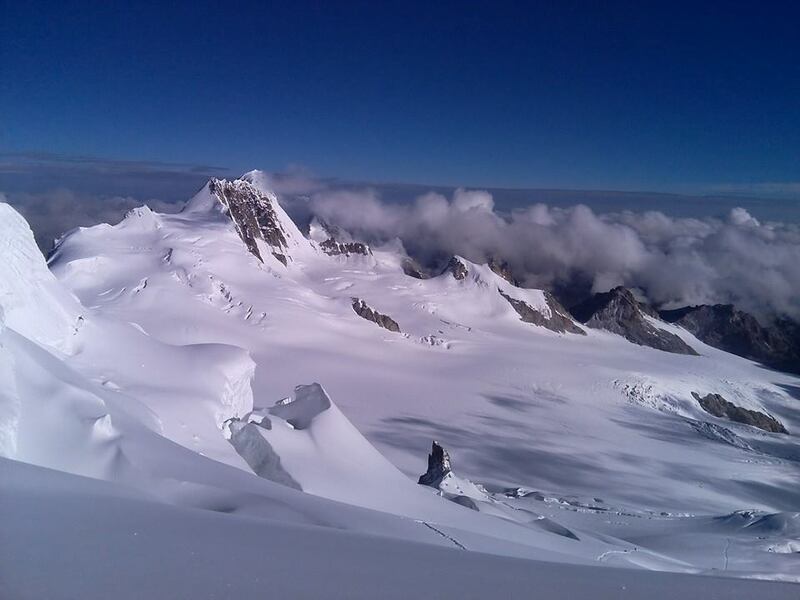 As we closed in to the last 300m metres to the top, the tracks were very zic-zac and with many small sharp turns. 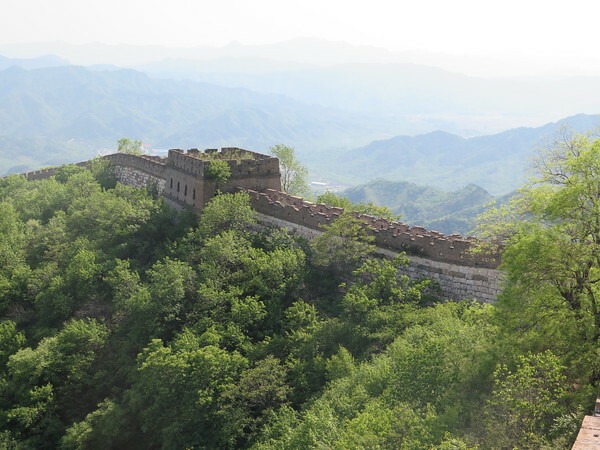 As soon as we got to the top, it was a spectacular view of what JianKou has to offer: wild, untamed, unrestored, unpreserved part of the Wall. I took in the history of the JK section very quickly, as explained in brief by the guide. Fortunately I read the history before I came. 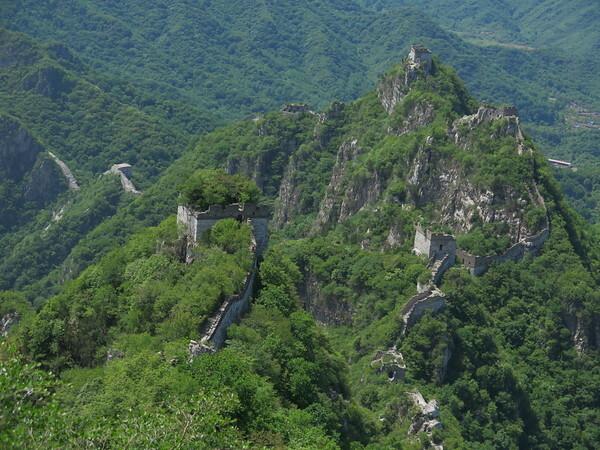 The wall was originally constructed during the Tang Dynasty, but was added on significantly by the Ming Dynasty rulers. I noticed our group of 16 was the only group of hikers along the stretch, then realised that this stretch is not officially open to hikers, but then there is no enforcement nor strict prohibition. The hike took a turn as we move along, coming to the Ox Bend, gradient circa 60 to 70 degrees, up and then down, hence the nick name. Several towers abut the track which was completely filled with loose rocks, unmanned wall fragments. 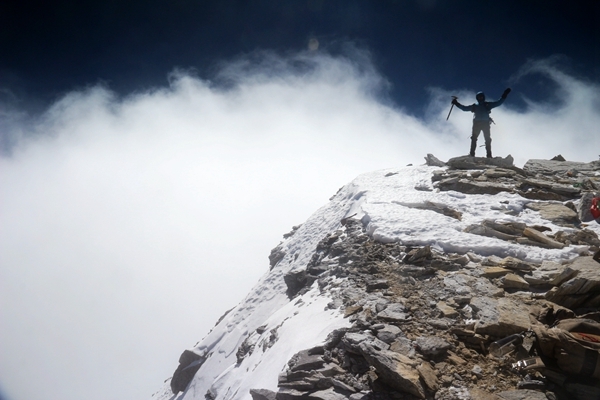 I was fortunate to have brought a hiking pole and a pair of hike gloves to cushion the edges and the pokes. Some hikers do not need these accessories. Dolomite stones were durable and hard, thus making for an overall stable foundation. Then a junction marked the highlight: Zhengbeilou Tower where we spent time to take photos of the glorious sunset. Then on to the mysterious wishing tree, and joining up with Mutianyu stretch. By far, the more civilised Mutianyu stretch was easy to manage, nonetheless care and eyes to ground are necessary. Towers need to be climbed over gingerly with tact, no jumping off as the action may hurt your knees. 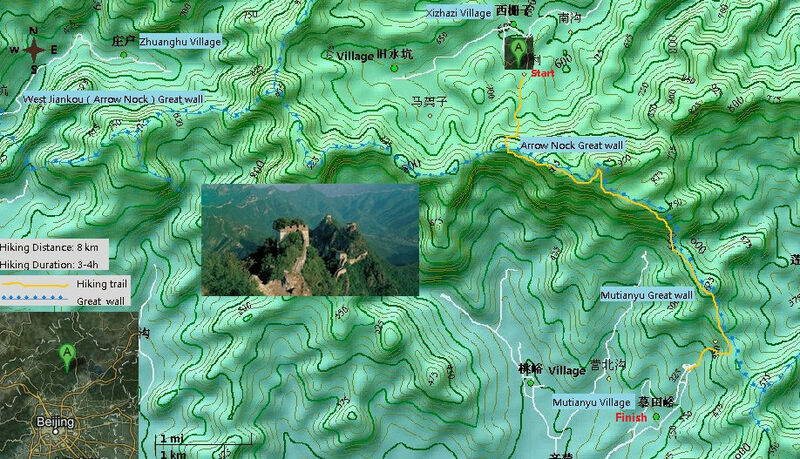 Finally a one hour descent through a clean forest down to the Mutianyu base, where our van came to collect the hikers. As this is a sunset hike, the last leg will inevitably be in pitch darkness. Turn on your head lamps or whip out your mobile phone light to guide your steps. No sweat. Forest is clear, gentle and no appearance of any animals or creepy crawlies. Total length trekked circa 8 km, with a trek time of about 4.5 hours. I would agree with the rating as Medium-Strong as a successful hike demands good leg power and good agility to manoeuvre the stones and rocks. My deepest appreciation to the two guides who were most caring, most attentive and showed extreme patience to slower hikers. I had sore quads the next day, but not a single shred of regret. I thoroughly enjoyed the hike. 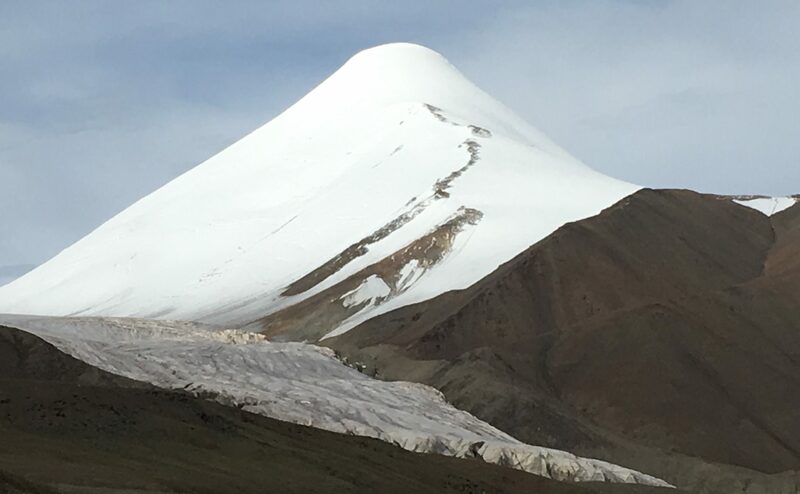 Finally, I would venture another climb again--Simatai-Jiankou, and hopefully Fred & Heidi can do such a tour. We spent the afternoon hiking the Great Wall in the day sunset tour. We met Fred by the Lama temple and drove a couple of hours to a farm for a lovely lunch. We then hiked for around 4 hours. Amazing views. We saw only a handful of people on the way. It felt a privilege to be there with no other tourists. We were a small group of 7. 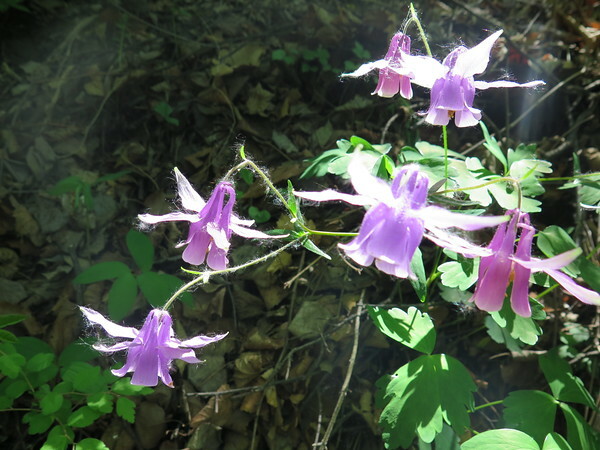 Fred is extremely knowledgeable and a passionate hiker. He was a fantastic guide. Would highly recommend any of the tours as it is a great, reliable company. A definite highlight of our trip in Beijing. Fred nous a guidé entre Jiankou et Mutianyu. 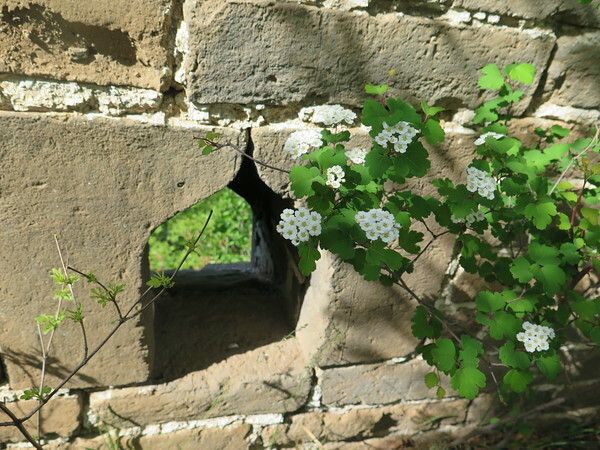 La Grande Muraille de l'époque Ming, envahie de végétation, se déroule sous nos pas alors que nous la parcourons jusqu'à Mutianyu en admirant le paysage grandiose, avec une visibilité exceptionnelle ce jour-là jusqu'à Pékin. Après un repas dans une petite pension, la rude montée est vite récompensée par le calme et la beauté des paysages. Excellent souvenir d'une journée encadrée par une équipe décontractée, qui s'adapte au groupe et fort sympathique. Merci encore. Christian.